Netanyahu speaks out after Iranian threats: "I don't ignore, but I'm not intimidated"
Prime Minister Benjamin Netanyahu has responded strongly to threats issued by Iranian military leader Yadollah Javani, who claimed the Islamic Republic’s military would decimate Israeli cities like Tel Aviv and Haifa if the US attacks Iran. Javani’s remarks were issued at a rally celebrating the Islamic Revolution’s 40th anniversary, a milestone marked with aggressive speeches by Iranian leaders, military parades, and gatherings at which regime supporters chant popular slogans, including “Death to America!”, “Death to Israel” and “Death to Britain”. On Tuesday, Netanyahu further warned that Israel could target Iran-backed militias throughout the Middle East. 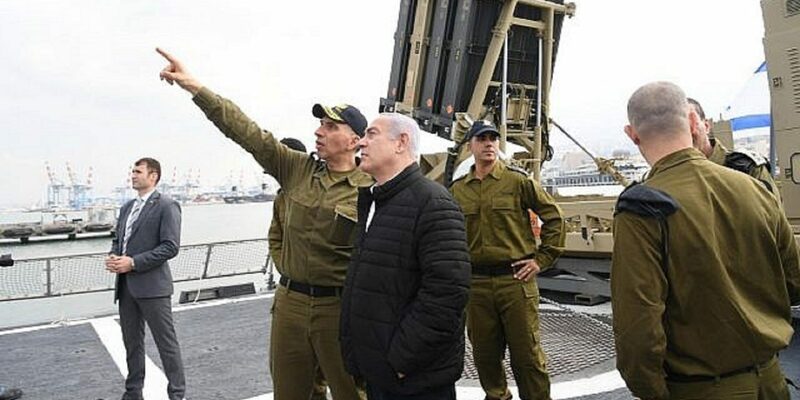 “We are constantly acting in accordance with our need to prevent Iran and its proxies from entrenching along our northern border, and in the wider region,” added Netanyahu, who is also defense minister. Iranian proxies in the region include the Lebanon-based Hezbollah, several terror groups in Gaza, and Shiite militias in Iraq. Receive the latest news and updates from our team by email. Love Freedom. Stand with Israel.